When saree embraces a fusion twist - you know you are embracing the best. Adorn this saree with an embellished jacket over it to look like a modern diva. 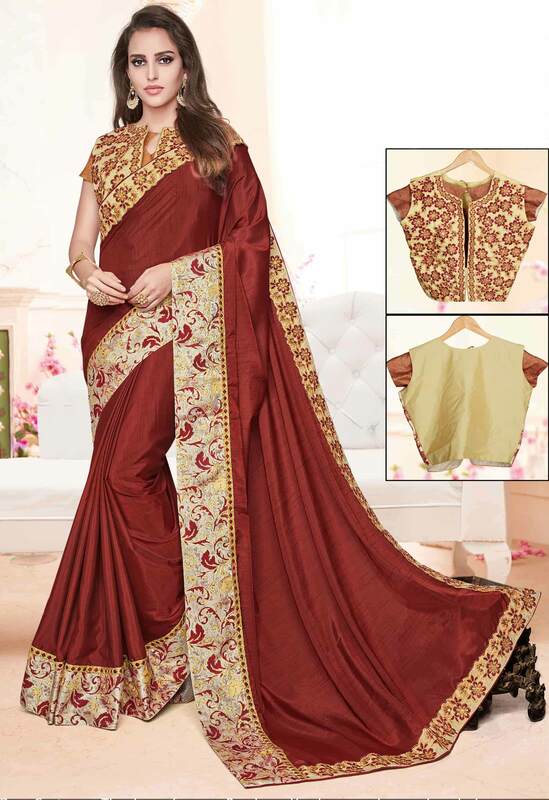 This Brown colored Two Tone Silk saree is finely highlighted with heavy Thread and Zari Embroidery on its border. This saree is accompanied with an Brocade and Raw Silk Cream colored blouse piece. It is suitable for all your celebrations to make heads turn.